From the kitchen into the world. 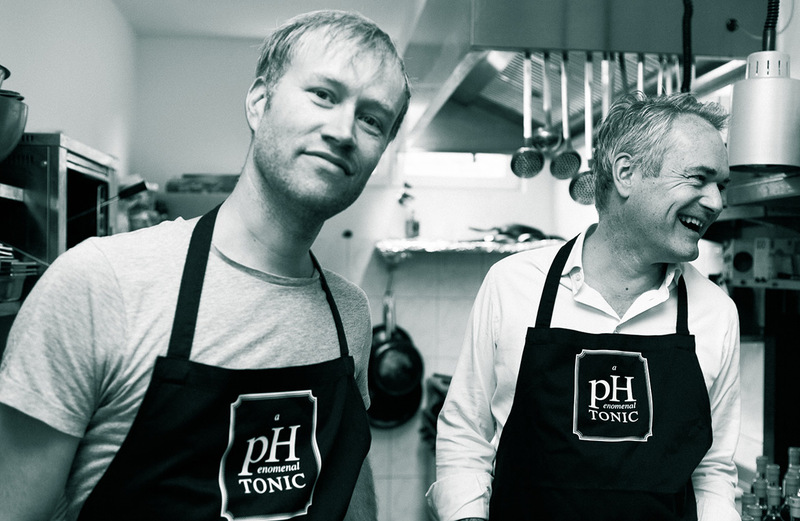 pHenomenal Drinks was founded by the two friends Hendrik Schaulin and Peter Hundert. Since they met each other both united the passion for good food, to talk shop about coffee and serious drinks. And with no surprise, after a good dinner, a strong Gin & Tonic in their hands, they found an instruction for home made tonic syrup. What started as a christmas gift idea for friends and colleagues, was refined and developed with organic ingredients to their own recipe. pHenomenal TONIC was born. Meanwhile Peter and Hendrik founded a serious manufactury out of their kitchen project, distributing their pHenomenal products worldwide. Beside their classic product pHenomenal TONIC you'll find new sorts like GINGER and WINTER, bitters for bars, dosers and Erlenmeyer flasks for easy syrup mixing. pHenomenal Drinks also offers services like very small to large batch corporate drinks – for example THE CAMPAINER for the advertising-agency Serviceplan Hamburg as well as liquid consulting: Qualified and stylistically confident guidance for all questions regarding "your" very own drink. If you have any questions about our produtcs or services, please don't hesitate to write us an email to info@phenomenaldrinks.com.